Pending - Payment is pending. With automated payment methods this step is very short. For bank transfer, one of our employees have to put the order manually in the next step of the process. Processing - Payment has been received, we are processing your order. If parts are in stock, orders placed before 12 oçlock paris time, will get shipped the same day. Complete - The order has been shipped, you should be notified by our webshop system. If not, please check your spam folder. - Bank transfer, please notify us of payment. 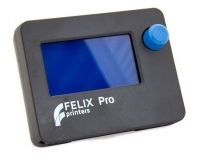 FELIXprinters allows you to return Hardware for any reason provided that it has not yet been used at any time during the fourteen (14) business days following the date of receipt at your delivery address. If the item has not been opened, FELIXprinters will refund the purchase price actually paid minus shipping and handling charges. 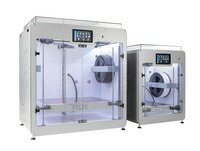 If the item has been opened, FELIXprinters will charge a 15% restocking fee in addition to shipping and handling charges. FELIXprinters will not issue refunds for products that have been defaced, altered, used, or damaged in any way. All requests for refunds are subject to inspection by FELIXprinters of the returned item. FELIXprinters will issue refunds through a bank transfer or PayPal. If you choose to return any Hardware, you must contact FELIXprinters during the fourteen (14) business days following receipt by email via info@FELIXprinters.com to obtain a Return Materials Authorization number and return the Hardware in its original packaging, free of all interests, liens, or claims otherwise, to the address provided by FELIXprinters. FELIXprinters will not issue any refunds in response to requests made more than fourteen (14) business days following receipt of the item. FELIXprinters will only accept returns on items purchased directly from the FELIXprinters store.